Strong Poles has responded to installers asking for top mount pedestals to mount small and large format PTZ cameras, Thermal cameras, Beacons or Strobe Lights and other security devices. 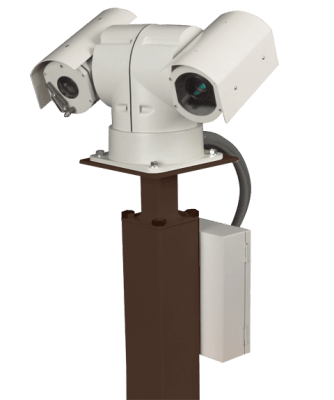 In response, we have introduced two bolt-on top-mount pedestals that will allow mounting of any top-mount PTZ camera or security device. 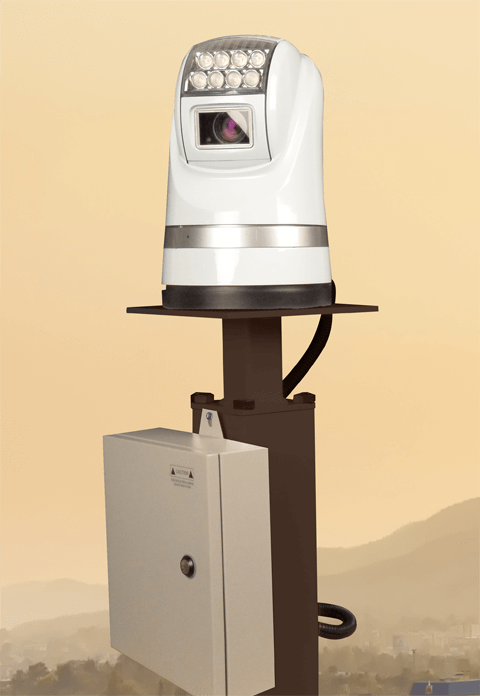 The Square top-mount Pedestal has an 8” square mounting plate for accommodating large, heavy PTZ Cameras and devices. 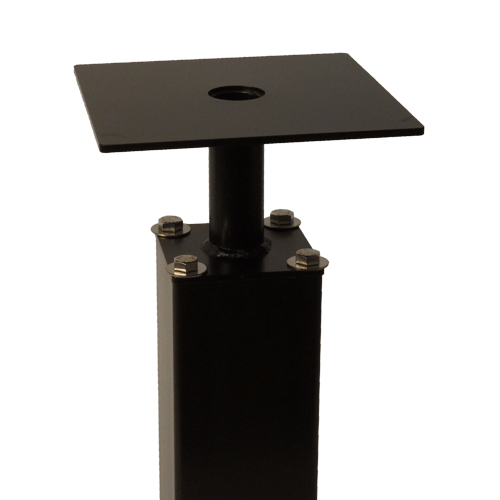 This pedestal has a 4” base that bolts on top of any 4” Strong Pole, using 5/8” bolts. The base and the pedestal mount are connected via a 4-1/2” long, 1-1/4″ ID tube that allows wiring to be passed thru into the pole (if needed). This mount is also commonly used in conjunction with a Power Supply Box or Equipment Cabinet, and wiring is usually routed directly from the camera or device into the box or cabinet.